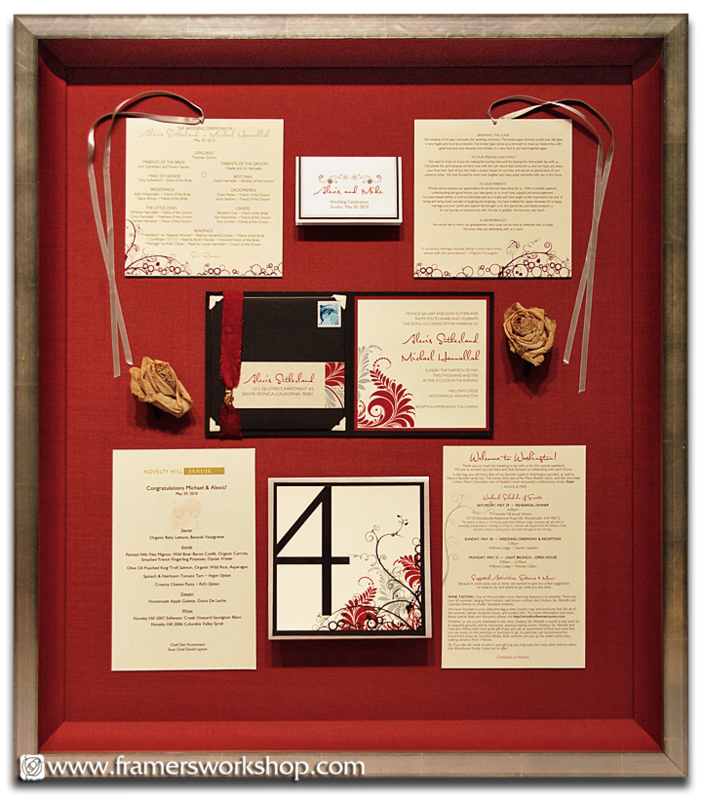 Wedding announcement, program, menu, memorabilia and flowers framed on a red silk backing with a deep liner to create the shadowbox. We used a Larson-Juhl L7 Series white gold frame and Optium Museum Acrylic to complete and protect this family treasure. See more wedding framing on our Celebrations page.